The game of golf is experiencing many changes as new generations arrive on the greens. Visit the links this year and you may see people using phone apps to help their game, GPS tracking devices and other new equipment. 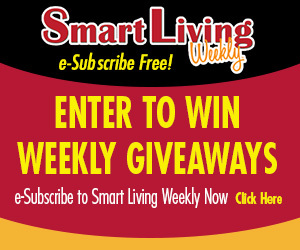 Congratulations to April Timbush, of Machesney Park, this week’s Smart Living Weekly giveaway winner! April takes home 4 Mega Passes to the Winnebago County Fair. Next week’s giveaway is 2 tickets for one round of golf at Elliot, Ingersoll, Sandy Hollow, or Sinnissippi Golf Course, in Rockford. Enter now by visiting northwestquarterly.com/contest. This entry was posted on Wednesday, August 15th, 2018 at 5:00 am	and is filed under Arts & Entertainment News & Events, Business News & Events, Mind & Spirit News & Events, News & Events, Smart Living Weekly, Smart Living Weekly. You can follow any responses to this entry through the RSS 2.0 feed. Both comments and pings are currently closed.